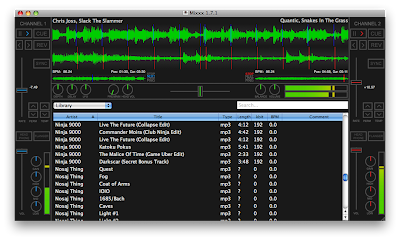 Mixxx 1.7.0 Beta 2 Released! 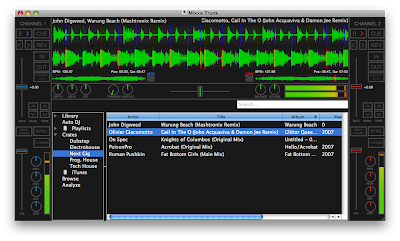 The Mixxx team is pleased to announce the release of Mixxx 1.7.0 Beta 2! This is primarily a bugfix release that addresses issues from our previous beta. 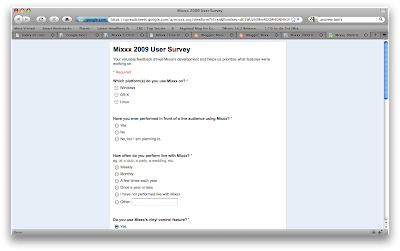 We also recently discovered a critical issue in an external software library which affects Mixxx users on Ubuntu 9.04. Please see the note at the bottom of this post for more information. Fixed missing MIDI bytes under heavy load on Linux. Fixed vinyl control input for users with multi-channel input. A slew of SCS.3d improvements and tweaks. 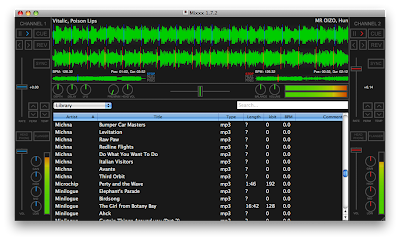 Mixxx 1.7.0 Beta 2 is available on our downloads page. Formality aside, this list of changes doesn't do the last few months justice. After our last beta, we received dozens of helpful bug reports. Some of those brought new problems to our attention, while others shed light on old ones. With your valuable feedback, we managed to not only fix your most pressing bugs, but we were also able to track down and fix some other very tricky bugs. The result of your great bug reporting and our team's commitment to fixing bugs is the most stable, polished release of Mixxx to date, and we couldn't have done it without you. Thank you to everyone who's been testing our beta releases and reporting bugs. You've made a valuable contribution to open source and the whole Mixxx community, and together we're going to continue to make Mixxx the best DJ software we can. As usual, please report any new bugs or regressions to our bug tracker. 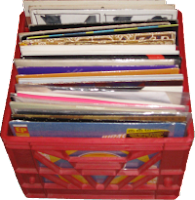 If you want to get in touch with other Mixxx DJs, show some love on our forums! Stay tuned for our final 1.7.0 release! The Mixxx development team is proud to announce the first beta of Mixxx 1.7.0. This latest release is the culmination of six months of work by over a dozen contributors, and contains several exciting new features as well as many bug fixes. Added full support for the Stanton SCS.3d on all platforms. 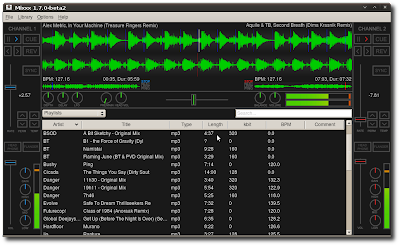 Merged the mixxx and mixxx-data packages for Ubuntu users into a single mixxx package. Aside from these more visible changes, there was significant work done on less visible parts of Mixxx. This includes many improvements to the organization and cleanliness of our source code, as well as a lot of work on features that didn't make it into the final 1.7.0. release. Improving the overall codebase is important for us because it makes it easier for new developers to contribute, and it was these new contributors who helped catalyze the overhaul of our MIDI system. Because we felt that both the long-term and short-term impact of implementing MIDI scripting would be very beneficial, several of our developers decided to shift their time away from other subprojects that they were working on (like effects, the new library, and looping) in order to complete the MIDI overhaul and scripting engine. When this work was nearing completion, we collectively felt that MIDI scripting support along with the slew of other improvements we made were significant enough to call this release 1.7.0. We're very excited about the possibilities that scripting opens up, and we hope to see our users come up with new, cool uses for it. We'd also like to thank Stanton for their support during this development cycle, which allowed us to significantly accelerate the development of our MIDI scripting functionality. We're pleased to be the only cross-platform DJ software that fully supports the SCS.3d without the use of any extra software in the middle. Lastly, if you encounter problems with the beta, please report them in our bug tracker! 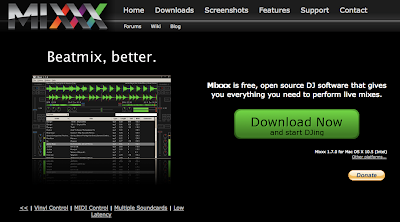 We hope you enjoy Mixxx 1.7.0 beta1, and we'll be working hard towards a final, stable release. Stay tuned. The overhaul of our MIDI code included many changes to our MIDI mapping file format. Some of our old mappings were converted automatically by a script, but many required additional modifications by hand, which introduces the possibility of us having made errors. Due to the limited availability of hardware and free time within our development team, the MIDI mappings for some controllers have not been tested. If you have a controller that we provide a mapping for, please test it and report your results in our controller testing matrix. MIDI Pitch messages are no longer processed internally and must be mapped to a script function. Fortunately script.pitch can be used very easily from your script. Windows: MIDI feedback on all but the first listed controller doesn't work with more than one connected. It's best to disconnect/remove all (real and virtual) devices except the one you're interested in working with. Windows: You may need to tell Windows to send MIDI output to the correct device, especially if you hear random notes instead of see lights on your controller: Start→Settings→Control Panel→Classic View→Sounds and Audio Devices→Audio Tab, set “MIDI Music Playback” at the bottom to the device you're trying to use. 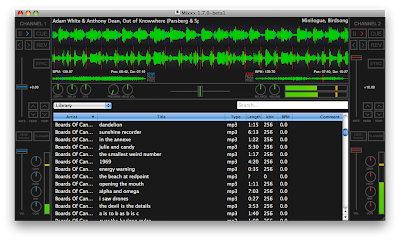 The use of multiple MIDI devices simultaneously is not yet supported. The SelectNextTrack, SelectPrevTrack and LoadSelected controls do not work in the Browse view. See bug #342120. The SelectNextTrack and SelectPrevTrack controls cause the GUI to freeze for a few seconds when you try to scroll down beyond the current page. See bug #361170.